​Visuals for three phases of scarf construction. 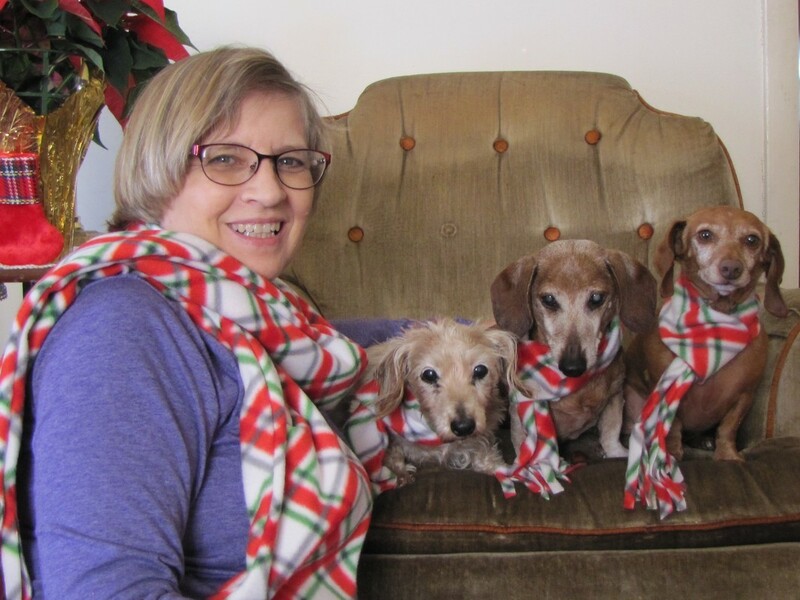 I had the thought that a nice warm scarf would be a welcome addition to our daily jaunts and further, wouldn’t it be rather cool for the dogs and I to have matching scarves! This is such an easy project! I made an adult size scarf in about a half hour and a doggy scarf in about 20 minutes! Now just think about it….how cute would a child (or adult) and their pup be to have matching winter wear! Here are the simple directions to make your own fashionable, one of a kind scarf! I purchased fleece fabric on sale at a local craft store. Scissors, straight pins, needle, ruler and thread are all the supplies needed. If you have a sewing machine, that will certainly work but my scarves are all hand sewn. · Cut a long strip of fabric twice the width you want the finished scarf to be. (I used a two yard length, 16 inches wide—it will be 8 inches when finished) This is an adult length, for a child, simply decrease the length of fabric. · Fold the fabric lengthwise, with the right sides together. 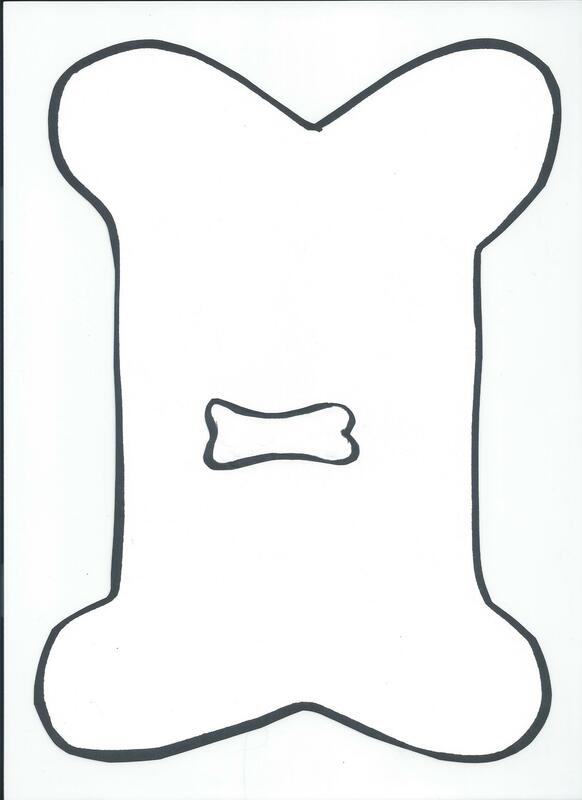 Pin long sides together. · Starting about 4 inches from end of fabric, sew the edge of the entire length of the scarf, stopping about 4 inches from the opposite end. · Turn scarf inside out. · At the points on each end where you started sewing the length, sew across the width of the scarf. This will leave you with about 4 inches of fabric on either end of the scarf. fringe on each end of your scarf. · And you are done!! 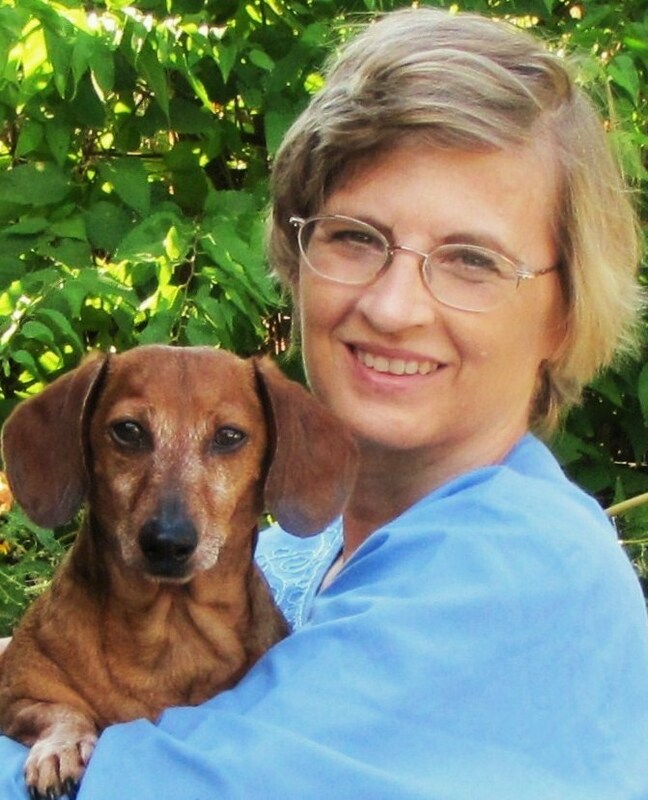 · Much will depend on the size of your dog. I measured my dog’s collar and added about 13 inches to the length....so I ended up with a length of fabric 26 inches in length and 6 inches in width. You may have to play with the length a bit. For my smaller dog, I ended up with too long a length and just cut it shorter. · Turn the scarf right side out. At this point, measure the scarf on your dog for correct length. Make any adjustments necessary. · At the open end, sew across the scarf at the point where you ended the seam….about 2 inches above the end of the scarf. · Carefully fringe the scarf as you did with the adult version. 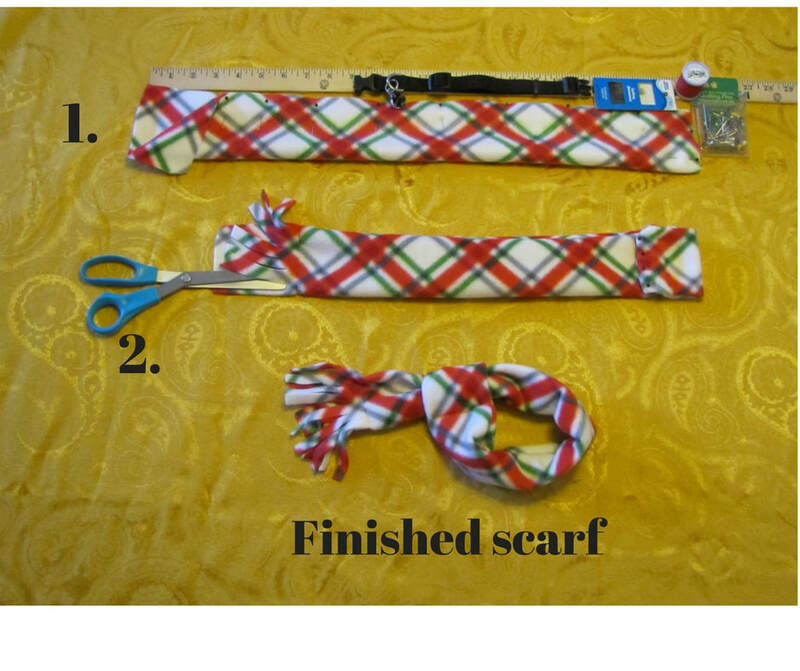 · To use, thread the fringed end of the scarf through the loop and place over your dog’s head, around its neck. · You could also adorn the scarf with ribbon or decorative sewing machine stitches. If you have crafty kids, give them a large plastic needle and let them sew the scarf using embroidery floss or light-weight yarn. Most fleece is loosely woven and it’s quite easy to pierce the fabric with a plastic needle. · Always remember to supervise your pet when it is wearing decorative articles. And you’re done! What fun, making memories with your kids while creating your own warm, stylish scarves! As we bid farewell to 2017, remember it’s the little things that count…. A quick smile, a gentle hug, a joy-full greeting…these things may seem small to you but change the world for the recipient. And please remember the homeless pets with a donation of food or other supplies to your local rescue/animal shelter. The animals (and the humans who care for them) will appreciate it more than you will ever know.